Great news for all OPPO fans across the Philippines! I think it's only a matter of days now before the Chinese tech company launches its 2018 hero Android smartphone for our country. On Tuesday - March 20, 2018, OPPO Philippines' Brand Marketing Director, Ms. Jane Wan, posted an entry on her Facebook account that seems to suggest that the OPPO F7 will be launched sometime in April 2018, which is already next month. To quote Jane, "We're now ready for April, are you? 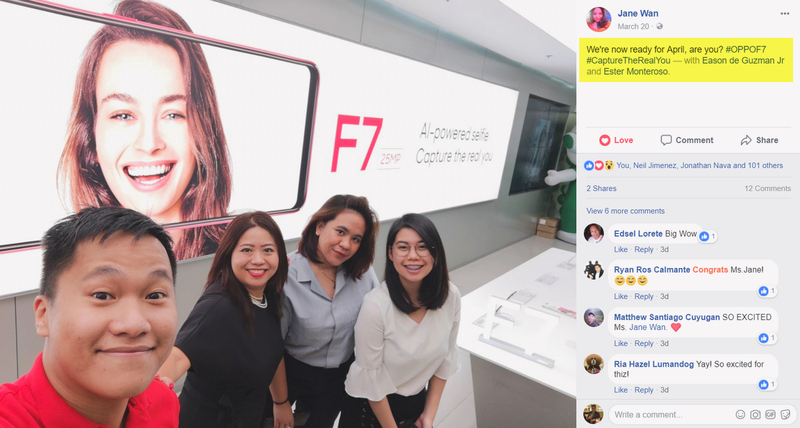 #OPPOF7 #CaptureTheRealYou"
Her photo, which also features the company's PR Manager - Mr. Eason de Guzman - and Marketing Officer - Ms. Ester Monteroso, clearly shows a large promotional material for the OPPO F7 with 25 MegaPixel front-facing camera. The huge back-lit poster - that appears to be mounted on a wall inside an OPPO Store - also pretty much confirms that one of the main selling points of the F7 will be its AI-powered front-cam that delivers selfies that "capture the real you". 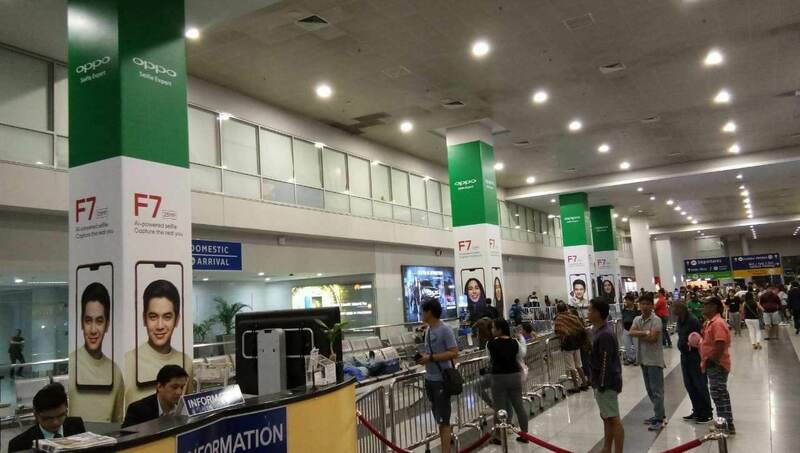 Aside from Jane's FB post, photos of the company's new promotional materials for the OPPO F7 at the Ninoy Aquino International Airport have recently surfaced online. The artwork shows the front of the handset - which features a notch prominently - as well as the brand's local celebrity endorsers. The imminent release of OPPO F7 with its 25 MegaPixel front-facing camera, which is the highest resolution selfie shooter on any smartphone ever released, will further reinforce the Chinese tech giant's image as the true "Selfie Expert" in today's fast-paced mobile industry.